To my mind there appear to be only two explanations for the below photo. Either 1) God is left handed, or 2) A group of evolved primates living on their ball of rock and water used reflective tools to look far out into space and saw a pulsar which their brains interpreted as resembling their hand. 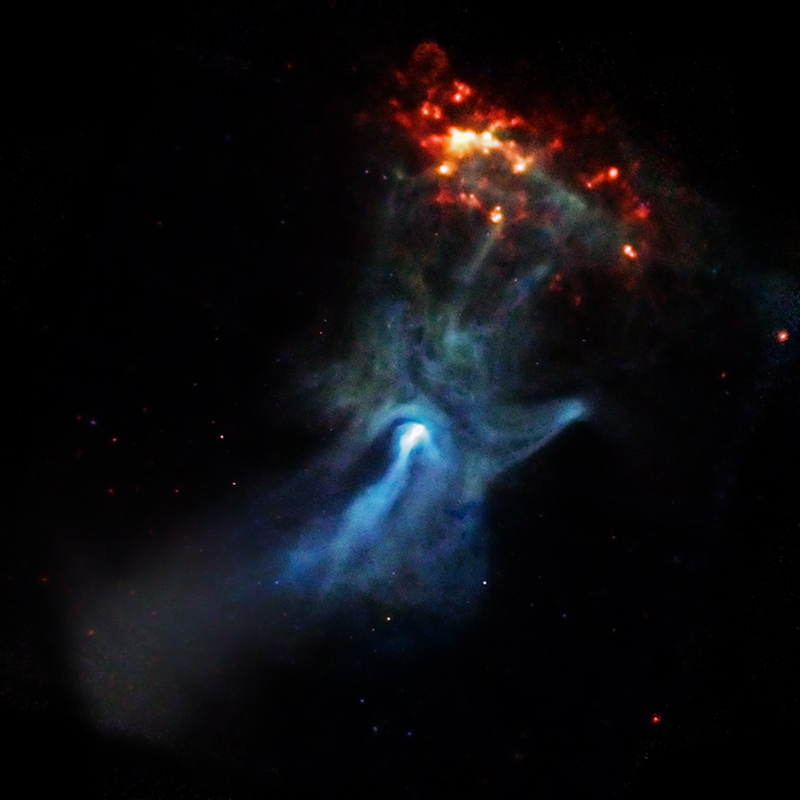 This entry was posted in News and Events, Physics, Random, Uncategorized and tagged B1509, Chandra X-Ray Observatory, NASA, PSR B1509-58, The hand of God. Bookmark the permalink.